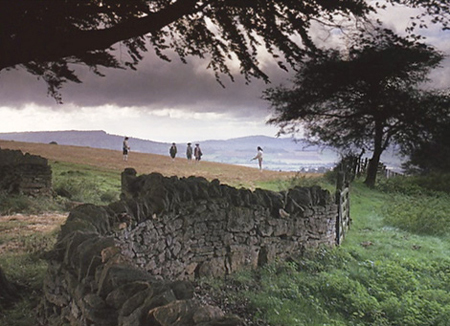 Act I of Barry Lyndon takes about a half hour and has a total of thirteen scenes. Act II takes a little over a half-hour and twenty-six scenes — twice as many. Act I takes Barry from rash teenage hijinks to being on the run from the law, Act II takes him out of the fire, puts him, briefly, into a frying pan, and then back into a bigger fire, then puts him, briefly, into a comfy seat next to the fire, before throwing him headlong back into an even bigger fire. SCENE 14: Barry sets out into the world. 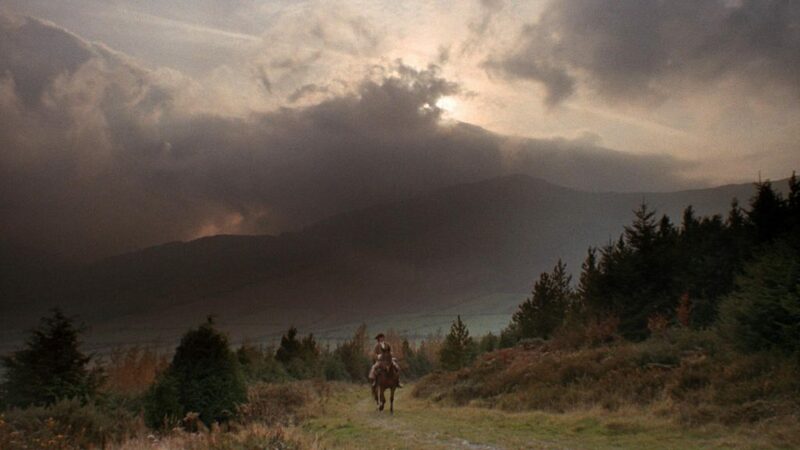 A tiny figure in a vast landscape, he heads toward Dublin and, he hopes adventure. The narrator informs us that Barry immediately forgets about Nora, for whom he threw his entire life into a cocked tricorn hat. While the circumstances of his ejection from his home may have been violent and stupid, he now feels pretty good about himself. He has 20 pounds in his pocket and is out to see the world, a young man with a toehold on social mobility. At the request of absolutely no one, but on the occasion of Criterion’s release of their edition of Kubrick’s 1975 costume drama, I’ve decided to sit down and try to tackle this most perplexing and misunderstood of Kubrick’s movies. WHAT DOES THE PROTAGONIST WANT? Redmond Barry, as he is known in the first half of the movie, is torn between two conflicting desires. At the one end is “love,” which he desires strongly, and at the other end is “social mobility,” which, as life inflicts itself upon him, he gradually comes to desire more and more. Kubrick lets us know, before the movie even starts, that his subject here is social mobility. A title card announces that the first half of the movie will tell us how Redmond Barry, local nobody, gradually comes to be known as fabulously rich guy Barry Lyndon. As the narrative unfolds, we see how the conflicting impulses of love and social mobility come to define Barry’s journey, and how the ever-present threat of violence serves as a kind of lubricant for both desires. 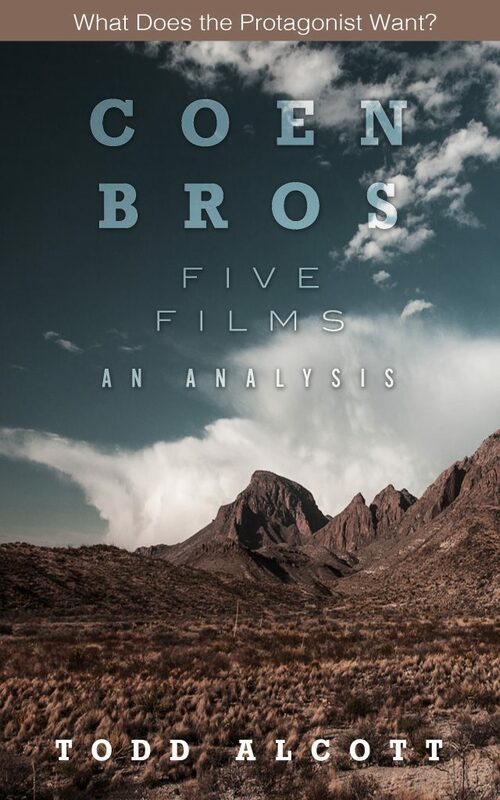 Now available at Amazon, for your reading pleasure, my analysis of No Country For Old Men, A Serious Man, True Grit, Inside Llewyn Davis and Hail, Caesar! Certainly five of the greatest movies released in the past decade. Endlessly watchable, endlessly rewarding of examination. Analytical readings of analytical screenplays from analytical writers. I especially recommend this volume for people who don’t “get” A Serious Man, Inside Llewyn Davis and Hail, Caesar!. 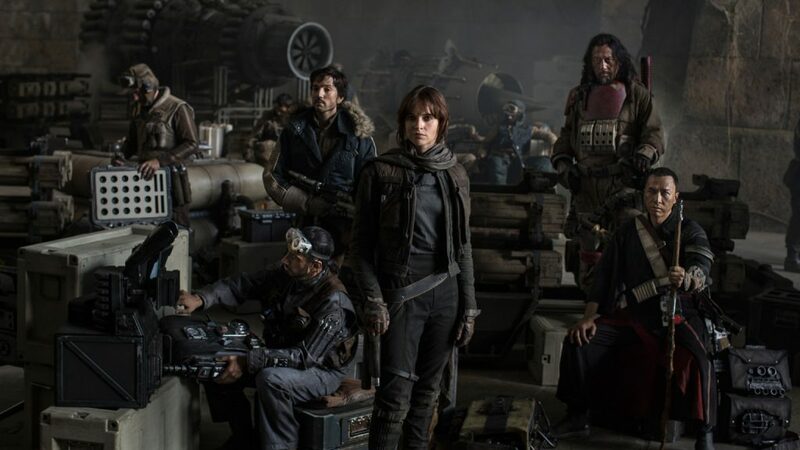 The question that Rogue One poses is “What does it mean to rebel?” Why rebel against authority? Should one rebel against all authority? What does rebellion do to one’s soul? What does conformity do to one’s soul? Why rebel when rebellion will lead to the deaths of millions, and maybe the death of you? Star Wars movies, up ’til now, have always explored the question of Empire vs Rebellion in stark black-and-white terms, but Rogue One dices up those terms, folds them over and then dices them up again before arriving at a conclusion. First and foremost there is Darth Vader. Darth Vader starts off as “evil” in Episode IV, develops into “evil, but subservient to a greater evil” in Episode V, and, finally, “evil, but conflicted, and eventually redeemed” in Episode VI. Vader’s Terminator-like consistency was part of his appeal, it was what made him terrifying. He wore a mask, you couldn’t know what he was thinking, he destroyed anything that got in his way. Then there is Emperor Palpatine. Emperor Palpatine is an uncomplicated climber, a man whose pursuit of power didn’t corrupt him at all, because he was evil to begin with. He started out a villainous creep and ended up as, apparently, all Sith Lords end up: killed by his own apprentice. Then there are garden-variety bad guys like Grand Moff Tarkin, Jabba the Hutt, General Grievous and Nute Gunray, who range from sniveling pawns to grotesque monsters. What all of them have in common is “they are bad.” In story meetings, when the producer asks “What is the antagonist’s motive?” the poor screenwriter says “He does bad things because he is bad.” That, of course, is how you know you’re writing a melodrama. Things have improved with the re-launch of the brand and Episode VII. Kylo Ren is a genuine freak, a perverse, warped individual who is compelled to do bad things even when he doesn’t want to, who wears a mask when he doesn’t need to, who reacts with fear and confusion when his worldview is challenged. And now we have Director Krennic, the most finely-drawn, complex villain we’ve seen yet. Of all the characters in Rogue One, Galen Erso has the most complicated motivations, which I will discuss inside. Another Star Wars movie is released, and so the time has come for all denizens of the internet to remind the world that they would make a better Star Wars movie than anyone in Hollywood. 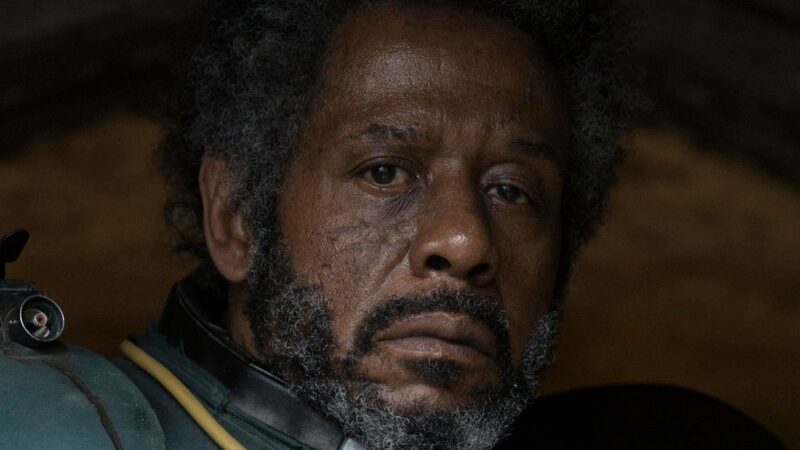 I’ve been told that Rogue One is both too radical a departure and more of the same, that it’s both too grim and too superfluous, that its plot is both too complicated and too simple, that the story is both too esoteric and too obvious. These are the kinds of complaints that, to my mind, can only be the product of expectations. If one goes into a movie with a set of expectations and those expectations are unfulfilled, sometimes one’s response is to spend the running time looking for the movie expected instead of watching the one being screened. But of all the complaints directed at Rogue One, the oddest one I’ve found is “the characters are thin.” This is absurd, since the characters in Rogue One are, by a long stretch, the most complex ever presented in a Star Wars movie. Generally speaking, the characters in a typical Star Wars movie are “one thing.” Obi-Wan Kenobi is “wise,” Luke Skywalker is “idealistic,” Leia is “spunky,” C-3PO is “fussy.” In 1977, Han Solo emerged as the breakout character of the series because he’s the only one who changes: he starts out as a murderous mercenary and slowly turns into a radicalized rebel. Darth Vader only becomes interesting as a character when we see him, in the original trilogy, go from being “pure evil” to being an individual caught between conflicting emotional impulses. The prequel trilogy squanders the opportunity to make Vader’s character more interesting by placing him on a straight road from “jerky kid” to “jerky teenager” to “jerky adult” before arriving finally at “victim.” The prequels are boring not because they lack plot but because Anakin Skywalker never changes. The key moment of his character arrives at the end of Episode III, when the Darth Vader mask is lowered onto his face, sealing his identity, and his destiny. As discussion of the Rogue One characters necessarily involves spoilers, be warned! As Hail, Caesar! hurtles toward its climax, perhaps it’s worth taking a pause to note that this movie, which informs us that Hollywood lies, itself lies about the historical Hollywood. 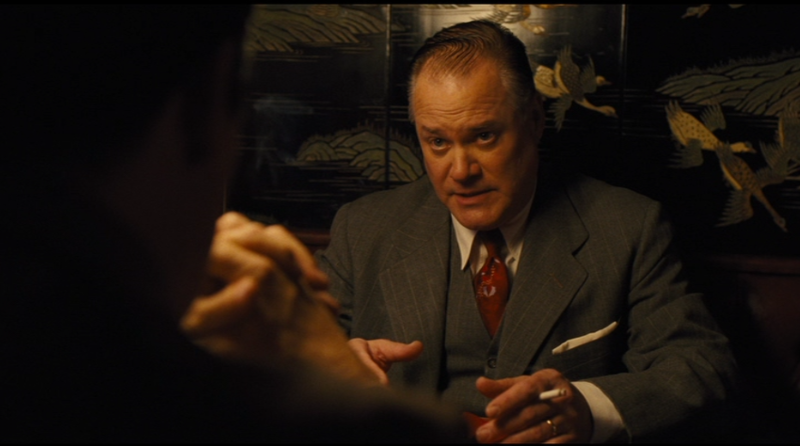 Eddie Mannix, the reader may be surprised to learn, was a real person, who was the general manager of MGM under the real-life Nicholas Schenck. Mannix did “fix” a lot of MGM’s problems, from getting Clark Gable out of a hit-and-run accident to down-playing Garbo’s lesbianism. The real-life Mannix was also considerably older than Hail, Caesar!‘s, and was dead by 1963. While he was Catholic, there is no indication whatsoever that he was the quiet, soul-searching family man presented here. While I’ve been saying that Hail, Caesar! takes place in 1951, there isn’t a date presented anywhere in the movie. The official plot description says it takes place in “the early 1950s.” I landed on 1951 primarily because that’s the latest date it’s conceivable to me that a group of communist writers would think up a plot as cockamamie as “kidnapping a movie star.” Baird Whitlock, meanwhile, is starring in a movie clearly modeled on Ben-Hur, which was not released until 1959. 1949’s Samson and Delilah started the “Technicolor Biblical Epic” craze of the 1950s, and Hail, Caesar! ATOTC seems to be a mashup of Ben-Hur and 1951’s Quo Vadis. So, if 1951 is our benchmark, then Burt Gurney, who is clearly inspired by Gene Kelly, is making a service comedy-musical closely modeled on On the Town (1949). Kelly’s 1951 picture was An American in Paris. DeeAnna Moran, meanwhile, is obviously modeled on Esther Williams, who, like DeeAnna, had a complicated romantic life and made an “aquatic picture” titled Neptune’s Daughter in 1949 and Million Dollar Mermaid in 1952, not to mention Jupiter’s Daughter in 1955 and Athena in 1954. But, as noted earlier, a 20-something singing cowboy would be seem very old-hat to 1951 audiences, so Hobie Doyle is a puzzling anachronism. Even more so, his date at the Lazy Ol’ Moon premiere, Carlotta Valdez, is clearly modeled on Carmen Miranda, who was 41 years old in 1951, long past her peak and four years away from her untimely death. It seems that Hobie and Carlotta belong to a decade of movies set at least a decade earlier than Whitlock and Gurney. 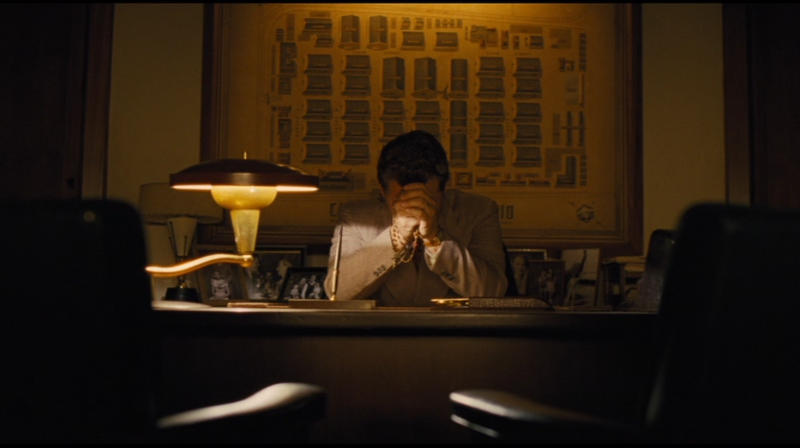 It’s as though Eddie Mannix’s entire career is being packed into one night. Eddie heads back to the Chinese restaurant to meet, for a second time, with Cuddahy, the man from Lockheed. What has changed in Eddie’s life in the past six hours? He’s had to deal with a director throwing a hissy fit, he’s had to pay ransom for a kidnapped movie star, figure out a solution to a pregnant mermaid problem, fend off fights from two gossip columnists, and save the life of an editor who was almost killed by her own Moviola. That has involved a lot of running around but nothing that Eddie would call “physical culture.” Cuddahy offers Eddie a contract of ten years, with stock options. He’s essentially offering Eddie a chance to be “set for life,” a sense of permanence in a world full of craziness. He also offers Eddie a set of airplane gifts for his children — he knows that Eddie’s 27-hour days leave him no time to be a husband and father, and that wracks him with guilt. 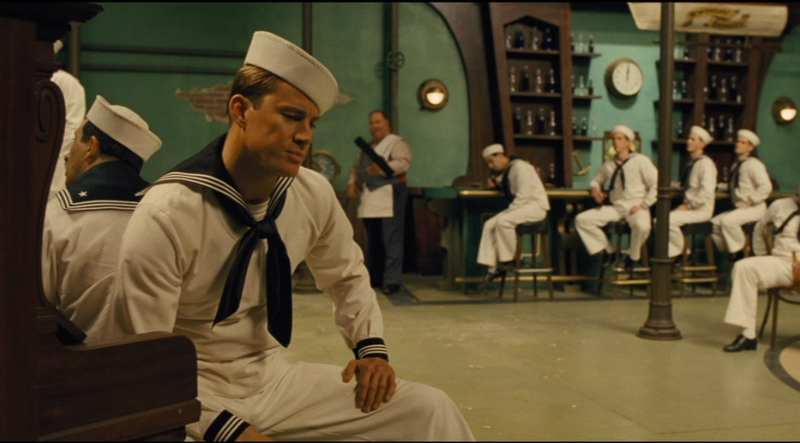 At the half-way point of the narrative, Hail, Caesar! introduces a new major character, Burt Gurney, seen on the set of a service-comedy-musical, performing a long, complex tap routine with a group of sailors, to a song called “No Dames.” In the context of the number, Burt and his crew are going to sea for eight months and will be without women and with little to do. Gay joke aside, the number is nevertheless a piece of foreshadowing for Burt’s eventual fate, a sunny Hollywood version of a story that hasn’t happened yet. There is no biblical subtext to the number that I can divine, but Hail, Caesar! doesn’t seem to be that adamant about laying on the Christian symbolism too heavily. Hobie Doyle’s movie, for instance, has no biblical subtext either, beyond a kind of Manichean good-guy-bad-guy reading of human interactions. Like Hobie’s movie, and DeeAnna’s mermaid picture, the “No Dames” sequence relishes the pure visual joy of bodies in motion, shifting patterns and colors.